I was looking at some of my recipe books this morning, and I thought about the recipe books that over the years 'came and stayed' in my kitchen - each in their own order and becoming the recipe books I used most. .. Growing up, Saturday was the day of the week when the cookbook was pulled out because it was the day baking was done. Baking was the only thing that needed recipes - all cooking was this and that and add a few things until everything looked about right. The Purity Cookbook was the one in our home - and the first cook book I bought along with the Five Roses cookbook in 1965 when I got married - or maybe they were shower or wedding gifts. I still have both original copies. The Purity cookbook was my favorite of the two. Also as a wedding gift from my husband's cousins, I received the Mennonite Treasure of Recipes. I I wore out two copies of that one, my own original, then my mother-in-law's that I kept after she passed away. The next recipe book fad that hit the shelves was in 1980 with The Best of Bridge series. Everyone was talking about them and they quickly became runaway sellers. They were the gift of choice and I received two of them as birthday gifts. 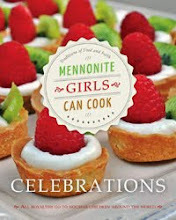 Then .... there came the Mennonite Girls Can Cook series ... I would never have guessed, as an 18 year old, in the kitchen, trying to please her new husband, that one day I would be part of a group that would put its mark on the historical recipe book trail. I was sitting at the breakfast table as I shared my thoughts for this post and my husband said ... "You need to ask your readers to vote on which cookbook series they liked best !" I said, "I don't think so, that would be a loaded question." And he said .. "Well, of course the MGCC books would be first so you could just ask them which one is second !!" I just smiled and shook my head. BUT ... I would be interested in hearing what your Recipe Book Life-Trail looks like and which cookbooks were always on standby in your kitchen - on any day of the week! I love cookbooks, read them almost like a novel. I have several you mentioned. My Favourite is a book put out in the early 80's by the Saskatchewan Lab Techs. I believe it was called Wheatland Bounty. The cover is long gone, pages are splattered and ripped and taped. My go to book. I haven't bought a cookbook in years for myself. My favourite Google cookbook is your site. I grew up using the Betty Crocker cookbook, which I continued to use after getting married. In the 70's along came More with Less cookbook and that was my go to for awhile. Now I more often than not, go to some favorite websites to check out new ideas. MGCC is one of the first things I check in the morning! :) I love to see what's going on there. The very first cookbook i used, more like a booklet was a free offering from Robin Hood flour. When I was 12 I, on my own while Mother was milking cows, made a rhubarb pie. With that I was off and running. 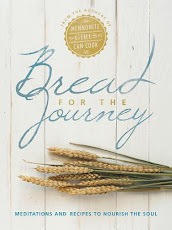 The next cookbook that entered our house was Mennonite Treasury. That is also the first cookbook I got as a gift, before I set out on my own. Other than a binder compiled of favorite recipes I use MGCC site first and Google second if I want to deviate. The cookbooks themselves have gone on to grace other homes. In the early 80s when the Company's Coming cookbooks were new, our local gas station gave one out with each fill up. That's how my mom ended up with the a good sized collection of them. My mom was never much of a cook, I don't think she ever used them, but they were great for me as I was growing up and learning to cook. My Mom's first Cookbook when she came to Canada in 1957 was the Purity Cookbook. She still has her copy. From the time I was 8 years old I used it also. In the 70's it updated and I purchased it for myself, Mom and SIL. It was almost the same but with a few other recipes added. A couple of years ago, the book for the 50's was reprinted and I bought it for myself and my daughter. To this day, my Mom, myself and my daughter all us this book. In the 70's book, is a recipe for Coconut Macaroons is a family favourite. I too have a couple of the Best of Bridge books and several of the Company Coming books as well. One of my daughter and mine are the Looney Spoon books. I have printed off many of the wonderful recipes you have shared here and love them. Yesterday I copied the raspberry bars and today I was very happy when I found a recipe for rhubarb custard bars. I will be making them today. I will be checking out your books. I have not been purchasing as many books lately as so many have ingredients that are not staples in my kitchen. Taste of Home! I bought a collection of their recipes in thick magazine form at Shopper's Drug Mart, and was hooked. I've been buying them ever since. Oh my goodness I have so many cookbooks and magazines! I have about 40 of the companies coming books and most of the best of bridge. I have several hundred magazines from Taste of Home, The Australian magazines, Bon Appetit, Food Network Magazine etc. and many, many cookbooks from Jamie Oliver to French cuisine! I did give my granddaughter quite a few a couple of years ago but I think I need to go through them again. I think a winter project will be to through many of the magazines and just keep the recipes I think I will use. One of the most disappointing things that happened is that my family came from England in the 60's and my mother brought many of the old tried and true cookbooks from over there. My parents moved into a retirement centre where all their meals were provided. When I asked her where she was going to put all her cookbooks she said 'Oh I don't need them any more as I won't be cooking so I put them all in the recycling bin a week ago'. They were long gone, I could have cried!!! I do love having your web site in my reader, I have tried several of your recipes. Some of my favourite cookbooks are the Harrowsmith cookbooks, Canadian Living cookbooks, and the first two Moosewood books. I have most of the Best of Bridge cookbooks and several cookbooks from Bonnie Stern. Interestingly most of my 'best' cookbooks are Canadian. 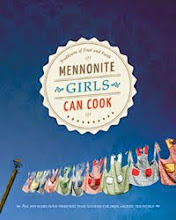 Mennonite Girls Can Cook & Company's Coming! First I have to confess that my cookbook library is HUGE, but my go-to cookbooks when my children were growing up were the Farm Journal cookbooks. These were books put out by Farm Journal with compilations of recipes sent in by their readers (mostly farm wives), They were kind of the forerunner of the Taste of Home or Gooseberry Patch type books. Like your blog, these books contained good, down-home type cooking. When I found out that your cookbooks supported charities, I recently purchased both of them. 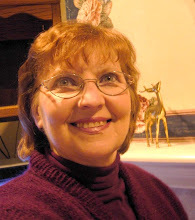 I also check your blog, Iowa Housewife and several of the Southern cooking blogs often for recipes to make. My file on my computer contains a great many recipes from you blog. Thanks you for sharing. rarely ever used a recipe, so I just have a few that she wrote out. She did use Betty Crocker some. In later years I have used church group recipe books and I liked Paula Deene, Ina Garten and Martha Stewart. I have a lot of those but have to replace my Mennonite treasury..it may be the best ever cookbook! My first cookbook was an early 1960's Betty Crocker cookbook--still a go-to for many favorites. 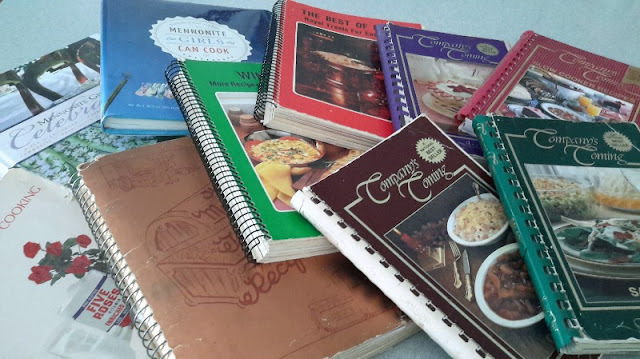 But I've used many of the Farm Journal Cookbooks, and when traveling to Canada about 30 years ago, I discovered Company's Coming cookbooks and have collected them, too. my classic is my mother's WWII era Good Housekeeping Cook Book. Second place goes to Joy of Cooking. Of course in the background are two beautiful MGCC books!! Thank you for all your comments ! I found them so interesting to read. I must also admit that when we built our house I asked the cabinet guy to put in two special cupboards in my kitchen island for all my cookbooks.My first cookbook was the Five Roses one. I have since 1964 collected 80% of the Jean Pare collection,(I like the old ones the best) Looney Spoons, (for my diet days) and some of the Best of Bridge. The one I wore out most was my local church cookbook. I love your books also and I love your website recipes. I am in charge of the kitchen at our local Lawn bowling club and use a lot of your recipes when we have a tournament. I have had many people comment positively on our good food and have written your website address down for them. Keep up the good work!